Sitting at the foot of the Chiltern Hills, the picturesque market town of Henley-on-Thames is surrounded by glorious countryside. Famous for the Royal Regatta that takes place there every June, it’s a beautiful and historic part of the world that comprises a bustling market square, boutique shops, a great selection of restaurants and some pretty fabulous properties. The town is even home to Kenton Theatre – the fourth oldest working theatre in the country! 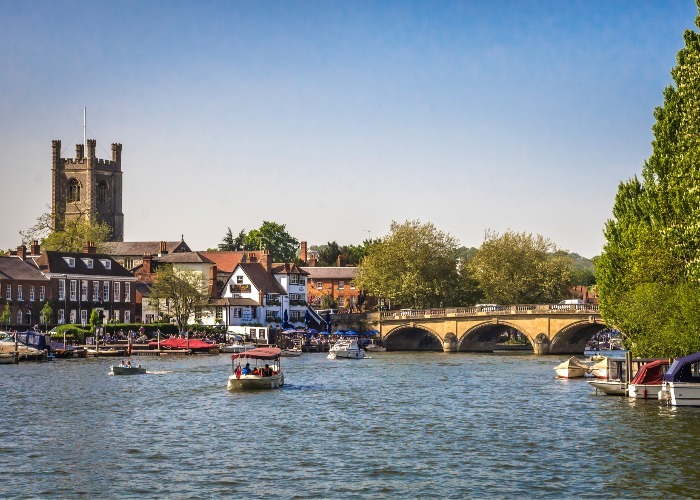 Along with the annual Henley Festival of Music and the Arts, local golf courses, lush woodland landscapes, sports clubs and parks, there’s plenty to discover. A good selection of private and state schools are on offer in Henley too, plus the commuter links into London are around an hour. When it comes to property, this Oxfordshire town is pretty idyllic, with its wisteria-clad homes, freshly-painted exteriors and scenic waterside setting. You won't be short on choice either – whether you're seeking a sprawling country estate, a grand townhouse, a characterful cottage or even a flat in the surrounding villages, Henley has many options for the discerning buyer. A pad here doesn’t come cheap though, with the average property priced at a steep £668,949. But for those looking to make a sizeable investment and bag a piece of the good life, this scenic spot has a lot to offer. 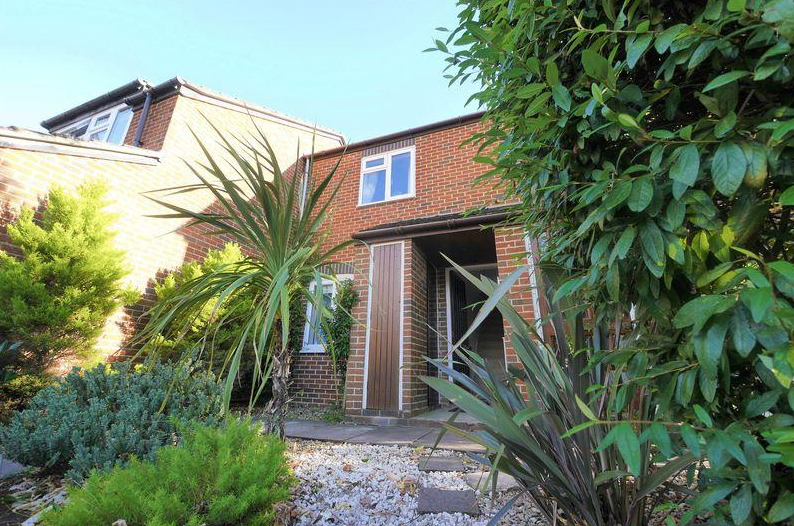 This immaculate two-bed property pretty much ticks every box for that dream first home. Modern kitchen? Check. 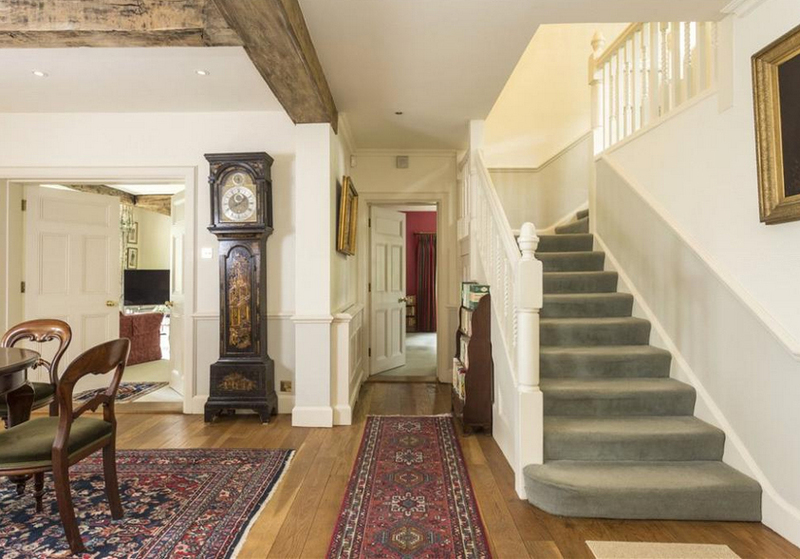 Close to Henley's bustling town centre? You bet. Off-street parking, quiet cul-de-sac location and attractive exterior? Absolutely! 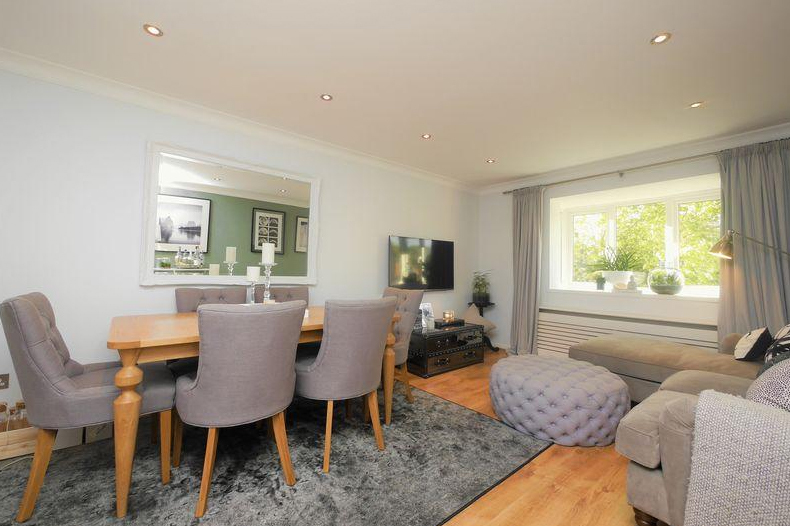 Plus there’s a spacious open-plan lounge/diner, gorgeous wood flooring and stylish modern décor throughout. It's the perfect property to move straight into! We love that the flat isn’t a high-rise either, so it’s ideal for anyone who likes to keep their feet closer to the ground. 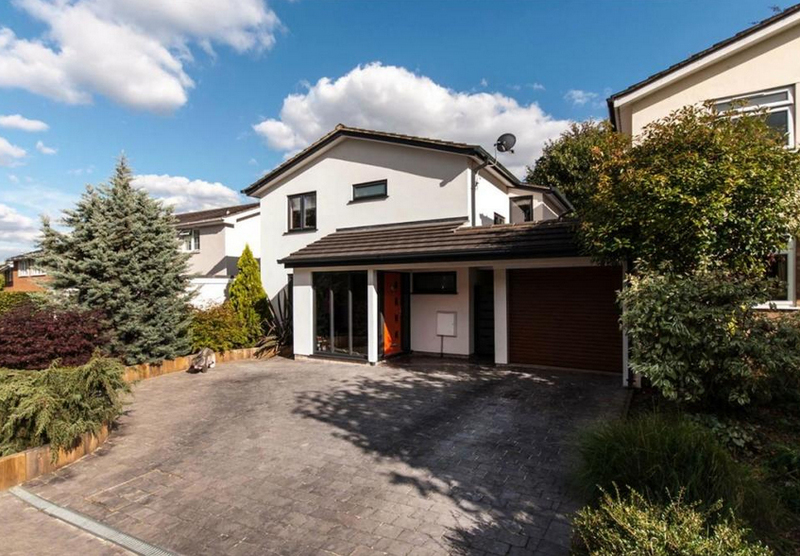 On Zoopla for £335,000 with In House Sales & Lettings. 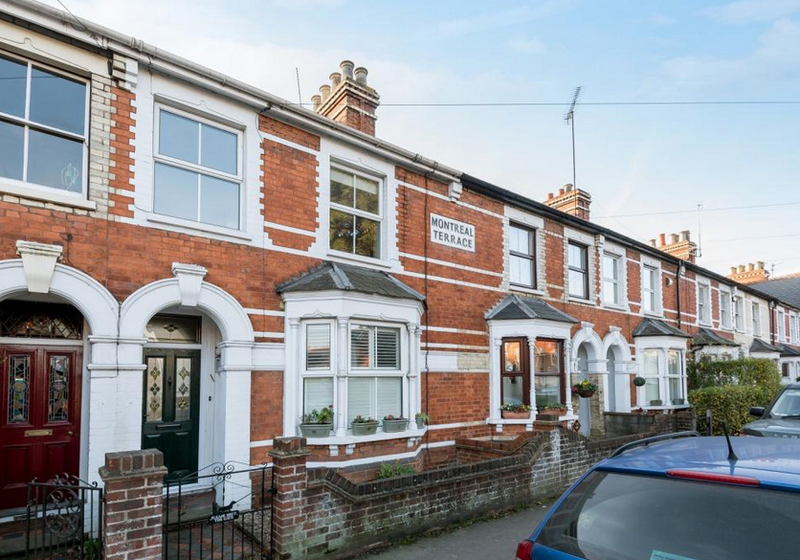 If you love a home that's bursting with character, then this Victorian terrace is sure to tempt you. 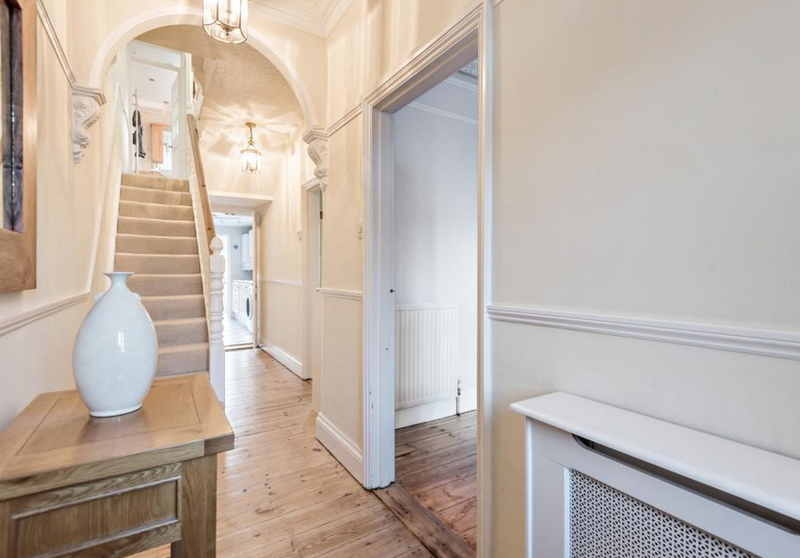 Inside, there are period features aplenty – we love the high ceilings in the entrance hallway with exquisite cornicing and a decorative arch, as well as the original Victorian floorboards that continue into the living room. In the lounge, you're greeted by a beautiful bay window, feature fireplace and even an original ceiling rose. Elsewhere, the dining room has built-in storage around the open chimney, while the bright kitchen leads through to a breakfast room with fantastic views across the garden. Upstairs, a spacious bathroom is shared by the three bedrooms, and there’s even an office space on this level too. Step outside and you'll find a low maintenance Mediterranean-style garden, complete with paved alfresco dining space – ideal for entertaining. Nestled in a prime location just half a mile from the town centre, this is a fantastic opportunity for a fine family home. On the market for £615,000 with Davis Tate. 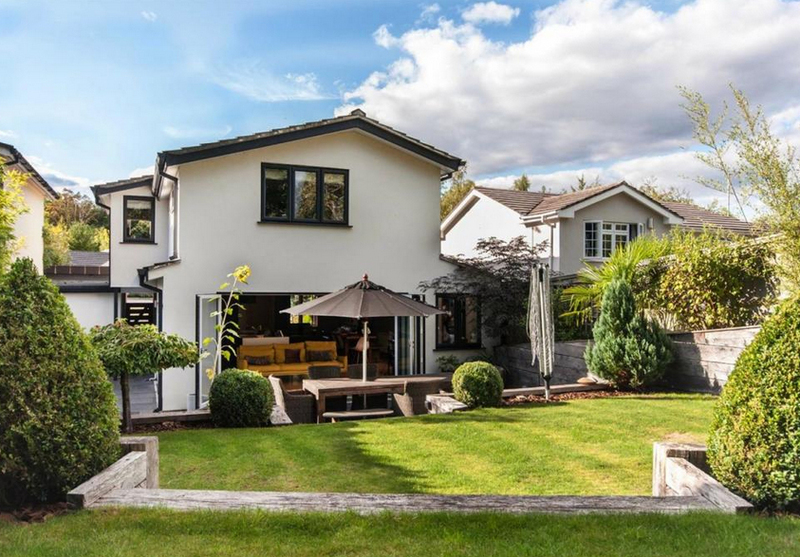 A stunning modern property with generous living spaces throughout, plus a magnificent landscaped garden, this family home is ideal for those who enjoy entertaining. As you walk into the house, you're welcomed by a glazed porch with underfloor heating and gorgeous mosaic tiling underfoot. Oak flooring runs throughout the ground floor, encompassing the cloakroom, spacious lounge and the impressive hub of the home – the open-plan kitchen/diner. 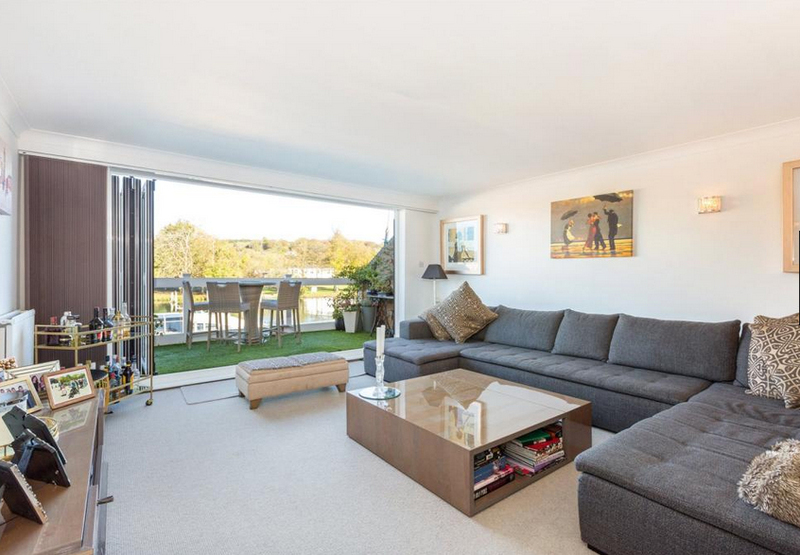 Bathed in natural light, the room is fitted with stylish bifold doors that open out onto the rear garden too. On the first floor, a luxury family bathroom can be found, along with the home's four bedrooms. The lavish master bedroom offers a separate dressing room, plus a sleek ensuite shower room. The real highlight is the terraced area to the side of the house, which is a great social space and includes a built-in pizza oven and potting area for any gardening enthusiasts. The second tier of the garden is lawned and planted with ornamental plants, while the top tier boasts a magnificent climbing frame, slide and swings. We think the whole family would have a lot of fun here! 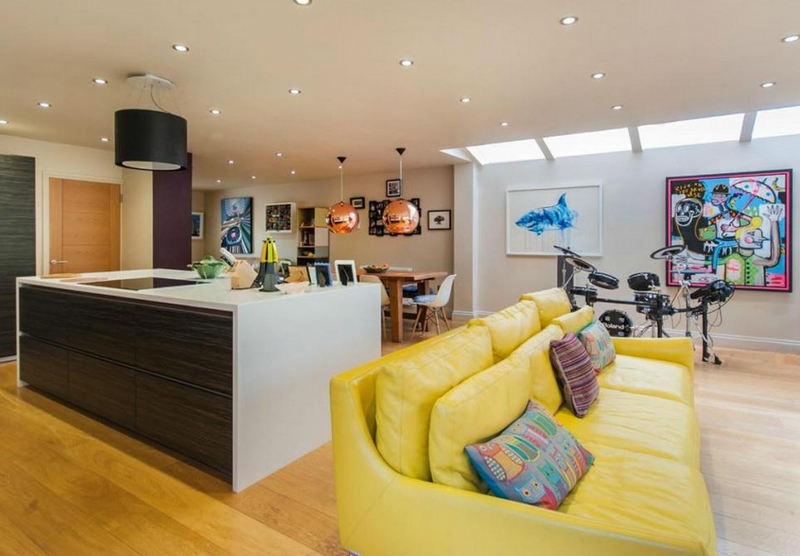 On the market for £875,000 with Peers and Hilton. 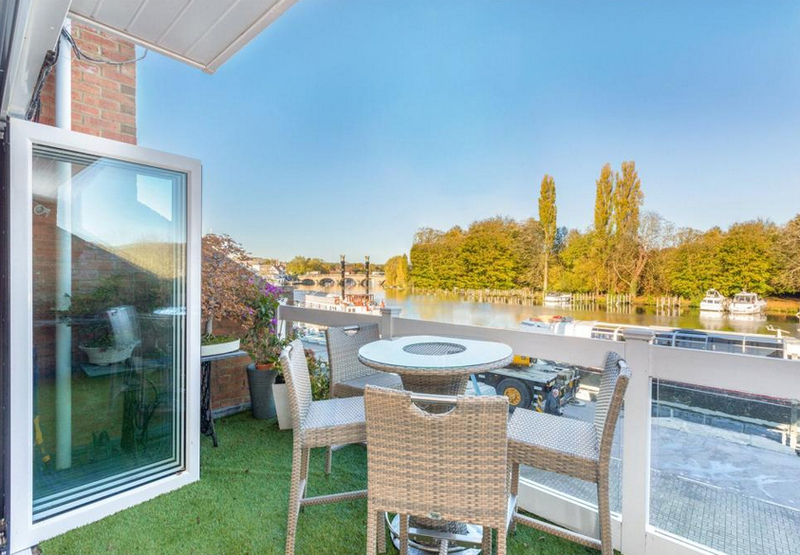 This pretty riverside townhouse enjoys outdoor space overlooking the water and is ideally situated within walking distance of Henley station and town centre. 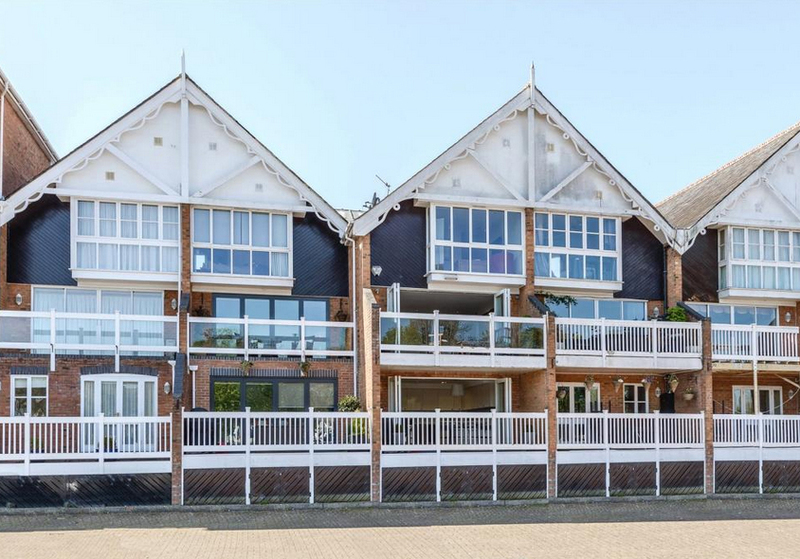 With accommodation spread across three floors, the entrance hall leads through to the spacious open-plan kitchen/breakfast room, where bifolding doors open out onto an elevated balcony. A bathroom and garage complete the ground floor, while upstairs on the first floor you'll find a double bedroom, along with a sitting room with access to the second balcony. A level up on the second floor, the stunning master bedroom enjoys contemporary decor and its own ensuite shower room. The space also takes full advantage of the views across the river towards Henley Bridge, with an expansive floor-to-ceiling window. 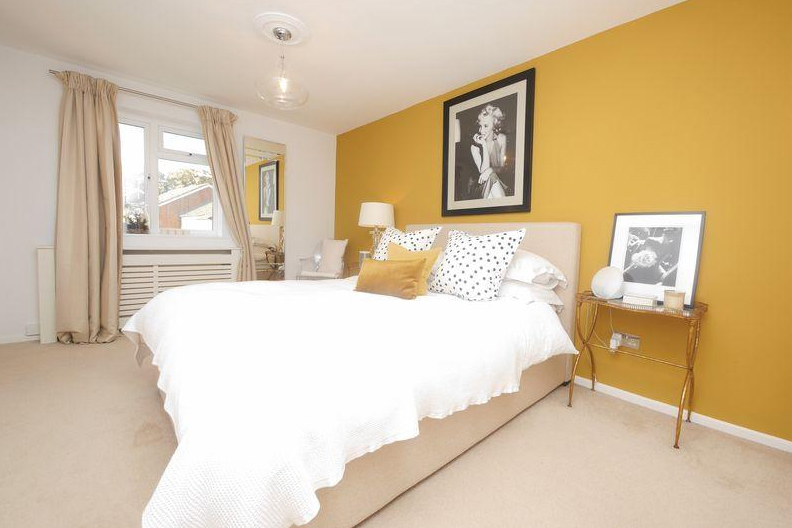 On the same floor, you'll find a further double bedroom, single bedroom and family bathroom. Another sweetener is the access residents enjoy to the delightful communal gardens, which include not only a secluded lawn but also a paved area that features a sculpture, celebrating Henley's rowing heritage. 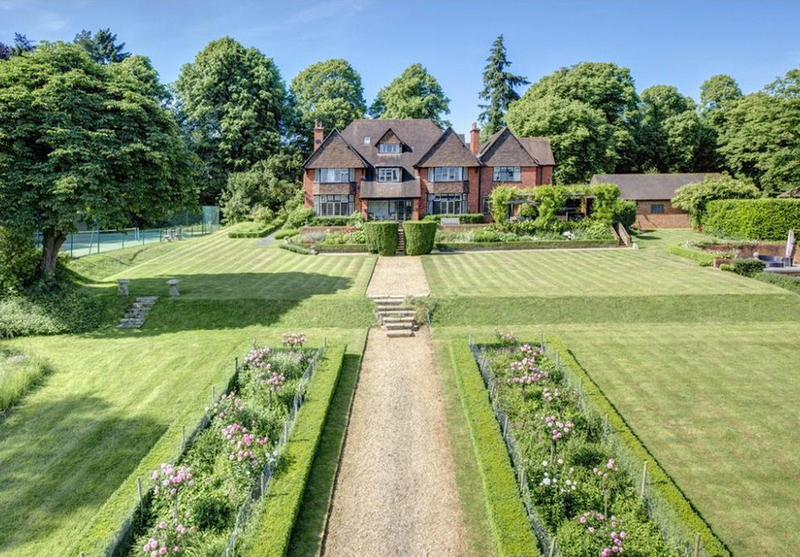 On the market for £1,450,000 with Savills. Well here’s a striking home, if ever we saw one. If the gorgeous green landscaping and inviting outdoor pool haven’t already enticed you, perhaps the tennis court will. 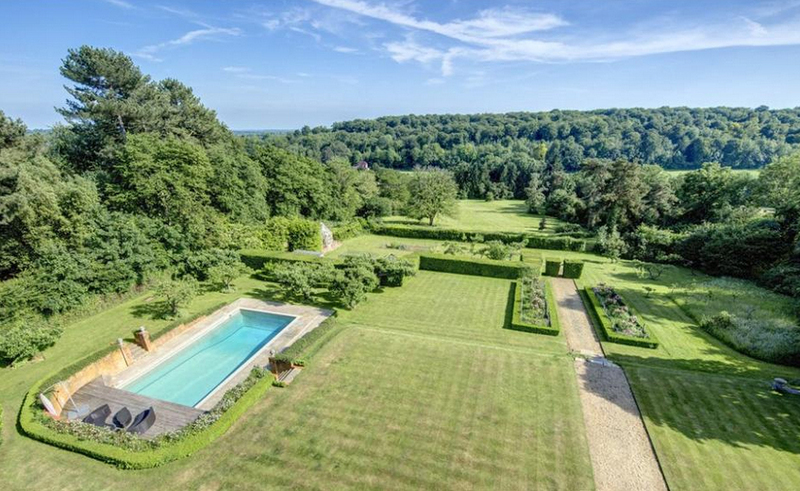 This palatial estate features almost two acres of grounds, plus a seriously gorgeous 1930s house that overlooks Henley Golf Club and the ancient beech and oak trees of Harpsden Wood. 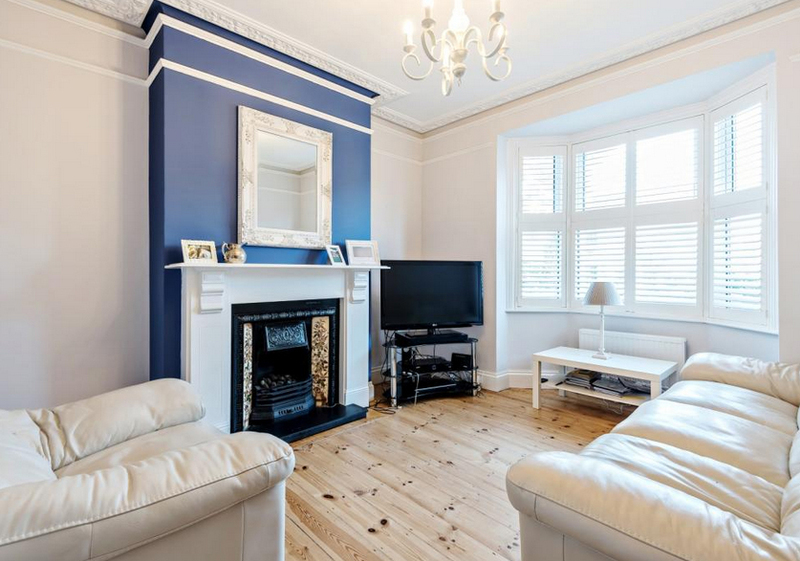 At the front of the house, you'll find a spacious family sitting room, while facing south over the garden at the rear of the property are a grand drawing room, formal dining room, and a garden room that opens out onto the terrace. On the first floor, the opulent master bedroom includes an ensuite bathroom and dressing room, plus views across the grounds. There are a further two bedrooms on this floor, both with ensuite shower rooms, while a guest bedroom benefits from a spacious bathroom just across the hall. Up another level, you'll find an additional bedroom and shower room, plus a cosy sitting area which could easily be transformed into a sixth bedroom. For those who enjoy a glass of wine in the evening, we reckon the outside space will be a real winner. The vine-covered pergola is an ideal spot in the warmer months, and you’ll probably make good use of the wine store found in the grounds as well! On the market for £4,500,000 with Knight Frank.